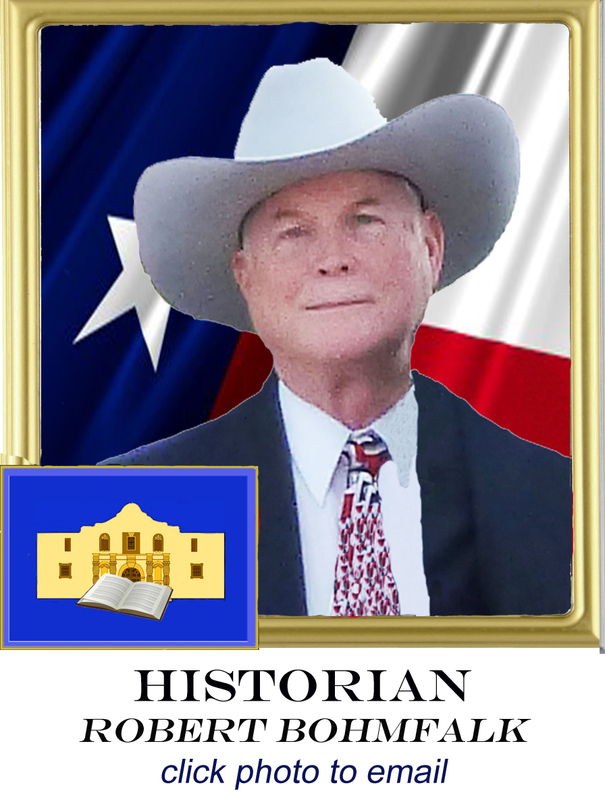 An officer in the Alamo Chapter of The Sons Of The Republic Of Texas is a position of commitment & devotion to all that is Texas & its rich history. 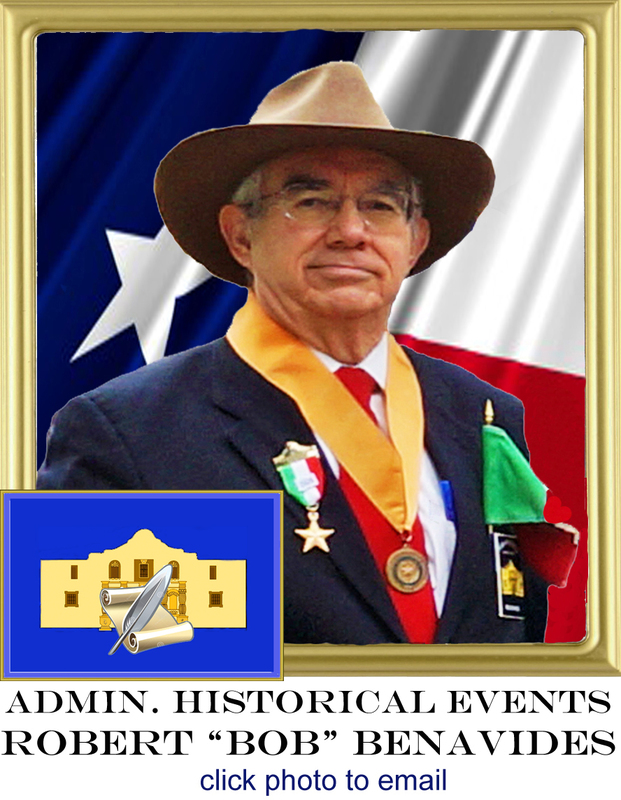 It is these 11 men above who help The Alamo Chapter stay faithful to it's core goals: Educating the public on Republic of Texas & honoring the men & women who fought & sacrificed for it's creation. 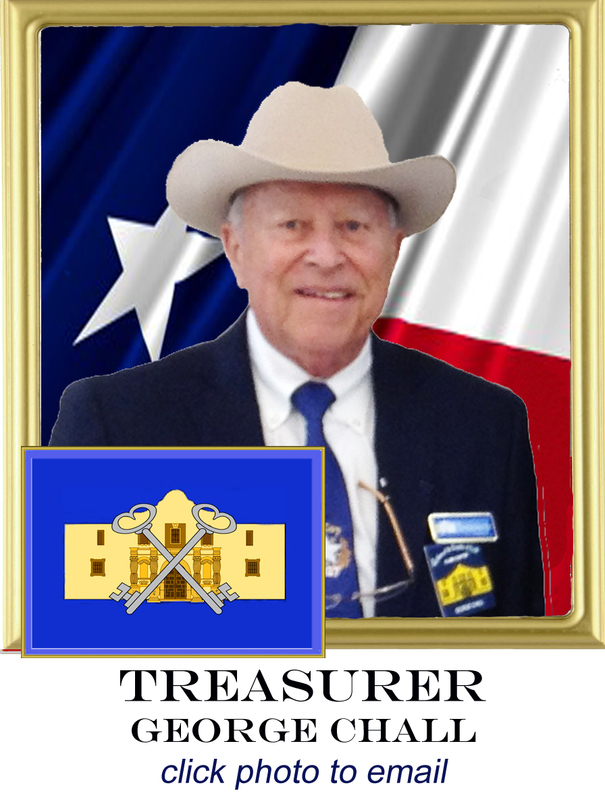 They are the heart & soul of the Alamo Chapter & keep it working in proper order. 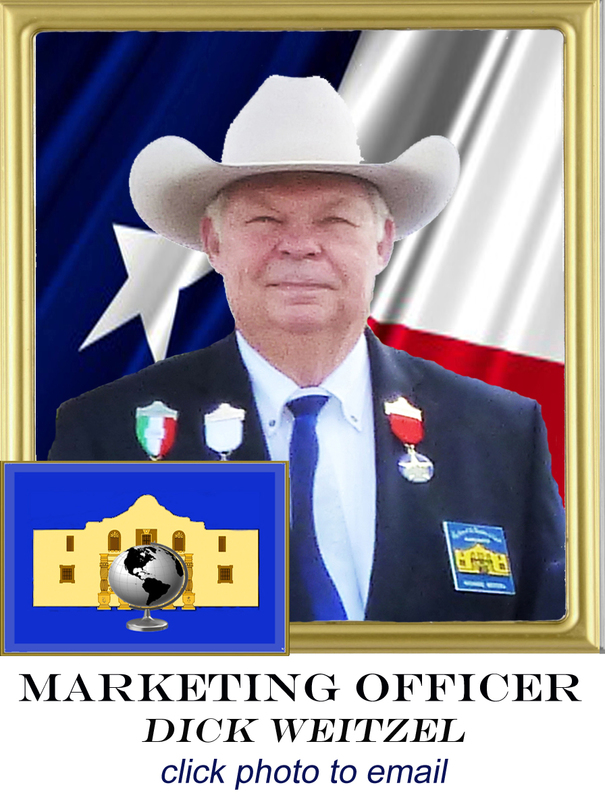 The current Officer Corp of the Alamo Chapter consists of 9 fixed positions & 2 administrative roles. All are members of the "Executive Committee" which is the governing body of the Chapter. The EC meets quarterly though out the year to discuss the direction of the organization & the 11 officers above have a vote on all matters involving the Chapter. Officers are elected yearly & serve two "one" year terms, only the three grades of President; 2nd VP, 1st VP & finally President of The Chapter must either advance to the next level or retire after their two year term. Consideration for an officer position begins only after a Chapter member has completely one year with the organization. At that point he can be recommended to the Nomination Committee for further examination. A member's leadership & involvement in Chapter activities & events are weighted heavily in the nomination process, being a committee member is highly recommended. 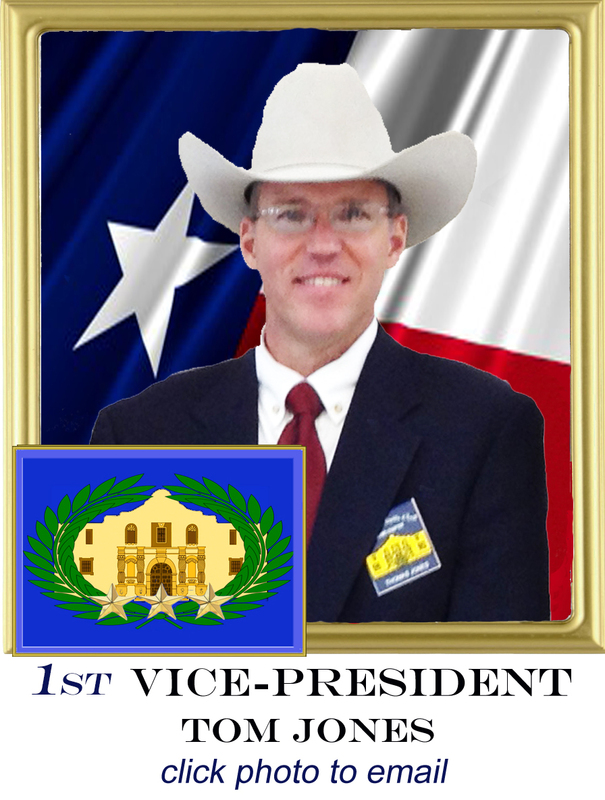 All officer positions are available after a year membership except the 3 grades of President. If the top spot is your goal; the path of promotion to President of the Chapter begins with Secretary, next 2nd VP, then 1st VP & finally President. 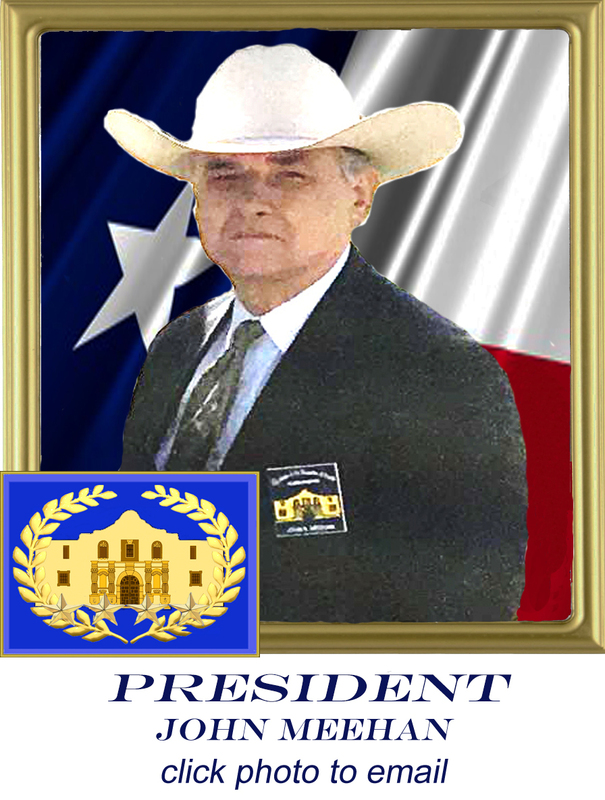 After a President of The Chapter has served his two year term he will become a advisor for the new President in a non-voting capacity under the title "Past President", which he will serve at his leisure.